KHOTANG, June 13: Litchis produced in different villages of Khotang are arriving in market areas of the district. The fruit, which is generally harvested around mid-July, has arrived in the markets about a month earlier this year, according to local traders. Large quantity of litchi has arrived in market areas like Diktel, Halesi, Baksila and Arkhaule, among others. 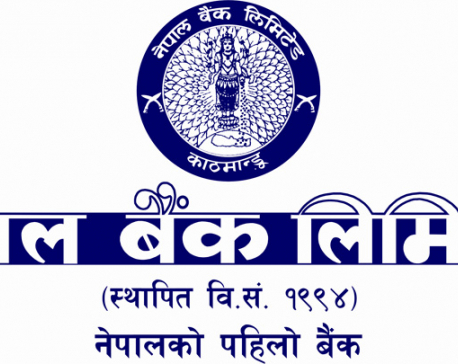 According to District Agricultural Development Office (DADO), Khotang, litchi started arriving in the market from mid-May itself. Commercial litchi farming has been done in Kubhinde, Kharpa and Hauchur of Lamidanda Rural Municipality. "Litchis ripen faster in Kubhinde, Kharpa and Hauchur villages. As they the market at the very beginning of the season, the fetch good price," Maina Rana Magar of Kubhinde said. Farmers say they harvest litchi early as the fruit get easily infested with pest once they fully ripen. Traders, who buy 80 litchis for Rs 100, can easily sell litchi at Rs 2 per unit in the market. Some farmers take the fruit to the market themselves to get more price for their product. As Khotang do not import litchis from other districts, locally grown litchis are getting good price in the market, according to local farmers. 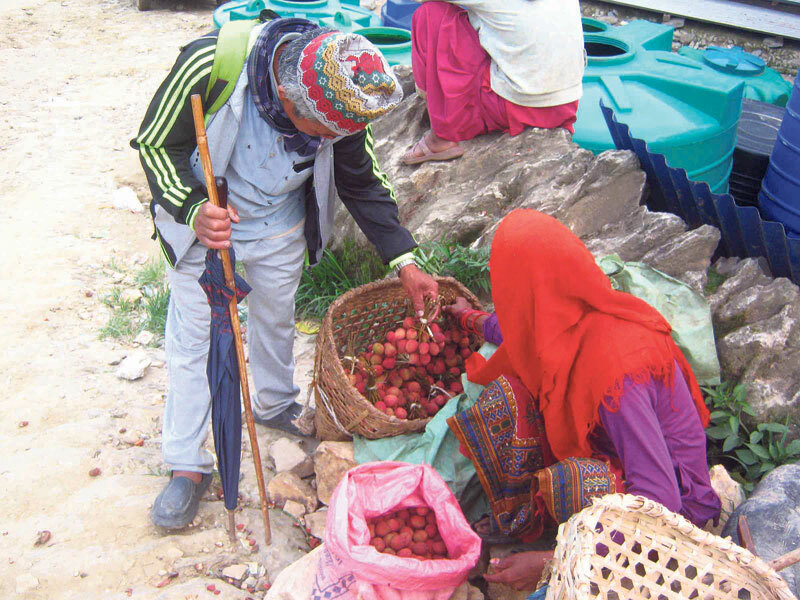 Officials of DADO Khotang say that litchi production in the district is growing with each passing year. "Litchi farming requires less effort and gives good yields. This is why more farmers are turning to commercial litchi farming," they added. Though 248 hectare of land in Kubhinde, Hauchur, Kharpa, Yamkha, Dorpa, Chiuri Danda, Nerpa, Khalle, Dumre, Dharapani, Patheka, Lamidanda, Rajapani, Bijaykharka and Halesi is suitable for litchi farming, commercial farming has been done in only 165 hectare. Last year, Khotang had produced 1,162 tons of litchis. This year, the district is expected to produce 1,237 tons. Of late, farmers from Salle, Arkhaule, Khalle, Dambarkhu Shivalaya, Mattim, Ratanchha, Buipa, Indrenipokhari, Batase, Dubekol, Chhorambu, Dumre Dharapani, Chyasmitar, and Dikua have also started litchi farming. DADO Khotang is preparing to distribute 2,250 litchi saplings to the farmers. 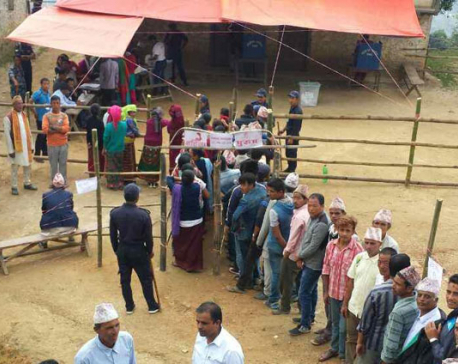 "Demand for litchi saplings is so high that farmers are now ready to bear transportation cost," Kaushal Yadav, a technical assistant with DADO Khotang, said.